Few author's personal lives have been as intertwined with their writing as that of F. Scott Fitzgerald. The author's popularity may have as much to do with the interest in his personal life as with his writing itself. The story behind "This Side of Paradise" certainly lends credence to this idea. When Fitzgerald's future wife, Zelda Sayre, broke of their courtship in the summer of 1919, the author returned home to finish work on his first novel in hopes that its publication would bring him a literary fame and financial success that would change Zelda's mind about the prospects of a life together as husband and wife. Despite being nearly rejected by editors at Scribner's the novel was accepted and as a result Zelda agreed to marry him. Set during World War I and immediately following, the novel is the story of Amory Blaine, a young Midwesterner who leaves his home to attend boarding school and eventually Princeton. The book examines the lives and morality of the era's youth through Amory's character, who has a series of romances that eventually lead to his disillusionment. 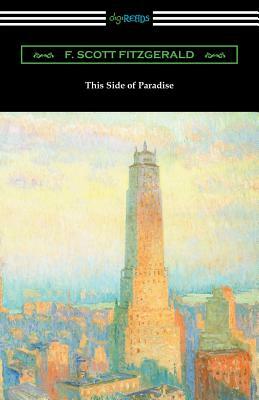 An immediate success ever since its original publication, "This Side of Paradise" would cement Fitzgerald's position as one of America's premier literary talents of the first part of the 20th century. This edition is printed on premium acid-free paper.